Sudheesh R. C. is a doctoral candidate at the department of international development, University of Oxford. His work looks at land use changes in the state of Kerala in India. Previously, he has worked as a research assistant with the Swiss Agency for Development and Cooperation in New Delhi. 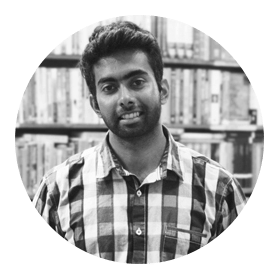 Sudheesh has an MSc in Social Policy and Development from the London School of Economics and an Integrated MA in Development Studies from the Indian Institute of Technology Madras. His publications have appeared in journals like Citizenship Studies, South Asia: Journal of South Asian Studies and the Indian Journal of Human Development.